Top 10 Facts about The Challenger Shuttle Disaster that may Shock you! 32 years after the space shuttle disaster, find out what really happened to Challenger. 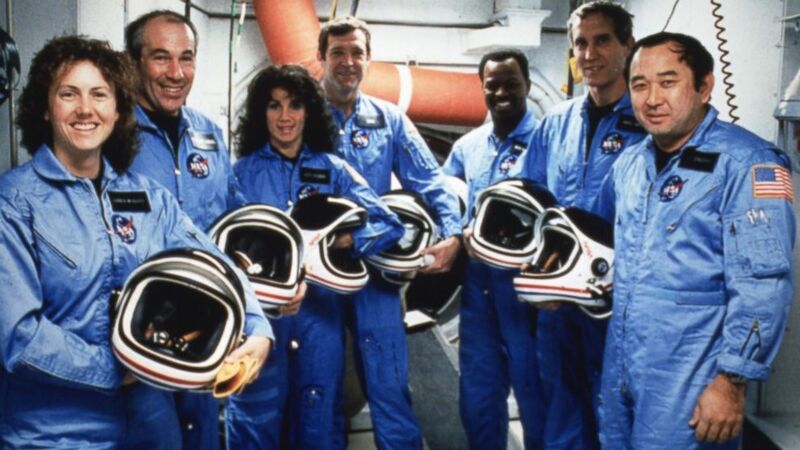 The disaster claimed the lives of all seven astronauts on board, including high school teacher Christa McAuliffe, and brought NASA’s human spaceflight program to an abrupt but temporary halt. A mere 73 seconds after lift off, the space shuttle Challenger was suddenly engulfed in flames. The space shuttle’s external fuel tank had collapsed, releasing all its liquid hydrogen and liquid oxygen propellants. As the chemicals mixed, they ignited to create a giant fireball thousands of feet in the air. The shuttle itself, however, was still intact at this point and still rising, but it was quickly becoming unstable. In the chaos of watching the lives of seven brave, adventurous individuals being engulfed in flames, it is hard to even consider the possibility that they survived – but they did. In photographs like the ones above, you can even see the ship escaping the blaze, though it certainly didn’t get away unscathed. NASA had failed to take any precautions in the event of… [an] accident. 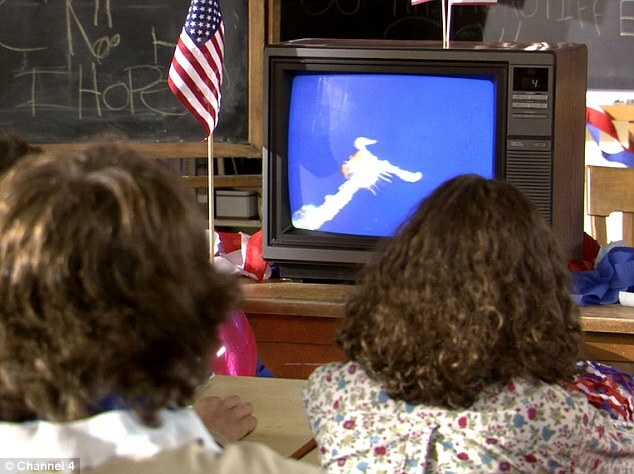 It was of a piece with the hubris and magical thinking that had led NASA to put a civilian social-studies teacher aboard a dangerous spacecraft, for a nation of students to watch live in class. There was no equipment to arrest the craft’s fall or to allow the astronauts to ditch it, nor even an emergency locating transmitter. The crew could do nothing but ride it down. The suggestion that an event such as this could have been avoided with more forethought makes it all the more devastating. It’s false that most people saw the disaster live on TV. In the hours and days following the disaster, footage of the Challenger accident was “replayed incessantly” on the major television networks. This could explain why many people “remember” witnessing Challenger’s destruction live on television, when in fact what they probably saw was a replay. The handful of people who did see the tragedy unfold on live television were watching it on NASA’s channel via satellite dishes—technology that relatively few people had at the time. A common myth is that cold temperatures were the reason for the failure of a rubber o ring, which helped seal a crucial joint in the shuttle’s right solid rocket booster (SRB). Temperature alone wasn’t the problem, the engineers had seen evidence of partial o ring failures before on launch days that were not as cold. Investigations later determined that the root cause of the accident was a leak in the SRB joint, which had allowed superheated gas to escape and burn through the booster and the external tank, causing structural collapse. The post-flight analysis indicated that the cold temperature was certainly a contributing factor. But so was the [SRB] joint’s design. After recovery efforts were underway, one group came across a collection of debris that consisted of the notebooks, supplies, and “an astronaut’s helmet, largely intact, containing ears and scalp” – but NASA convinced the member of the coast guard not to broadcast his findings in his upcoming television interview under the guise that the families hadn’t yet been informed. The shuttle’s cabin, though intact, was severely damaged on the outside, having lost both of its wings, but still managed to be propelled nearly three miles up into the sky before nose-diving down into the ocean 12 miles below. However, upon recovering what remained of the shuttle, NASA scientists determined that the cabin had survived the blast, meaning that those aboard had survived too. NASA has altered its account of the Jan. 28, 1986, disaster, first saying it believed that the crew members had died instantly. In July 1986, the space agency said its analysis showed that the crew had no inkling of the disaster. However, NASA reversed itself and acknowledged that the astronauts had activated their emergency breathing packs, which seemed to be evidence that some of the crew members struggled to survive well after the explosion. NASA’s initial statements about the astronauts and other actions by the space agency were part of a broad effort to keep the public from learning that the Challenger crew members might have survived the disaster if certain precautions had been taken.